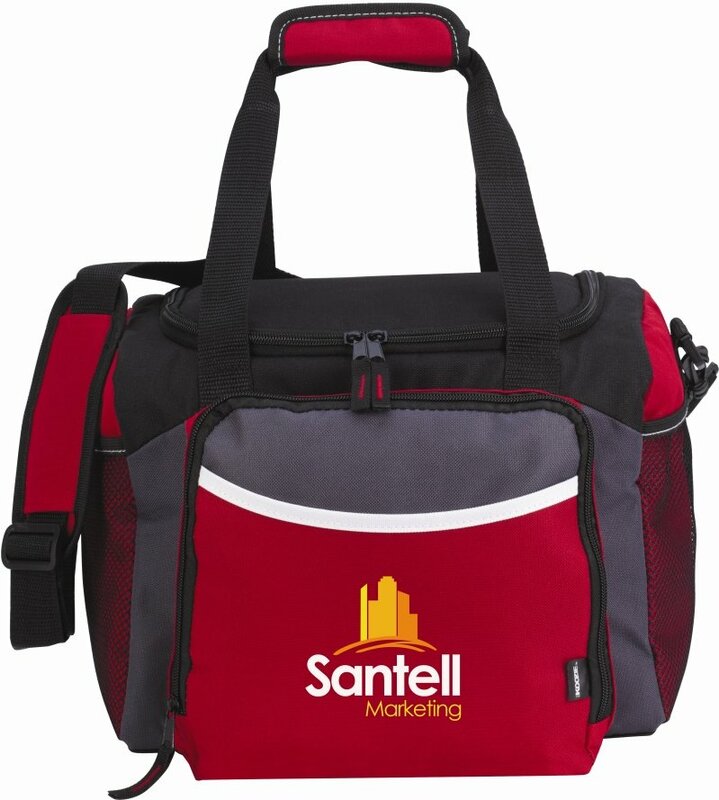 Get your logo on the perfect Koozie 12 Can Duffel Promotional Cooler. Apps include Employee Awards, Company Gifts, Promotional Items. pocket, 2 side mesh pockets, strap w/ pad, wrapped handles. Overall size is 12 1/4 w x 8 5/8 h x 9 1/2 deep. Four colors. Frigid Ice Packs, $.79 each, order whole lots of 36 packs. You MUST order this cooler lots of 10 units over the min. Delivery from date of order for the product is 2-3 weeks. Rush Production no extra charge w/ a 1 color imprint. Price includes a one color imprint on front area 4" w x 3" h.